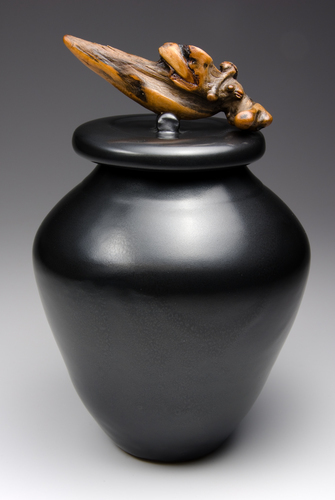 Lidded vessel with driftwood handle. 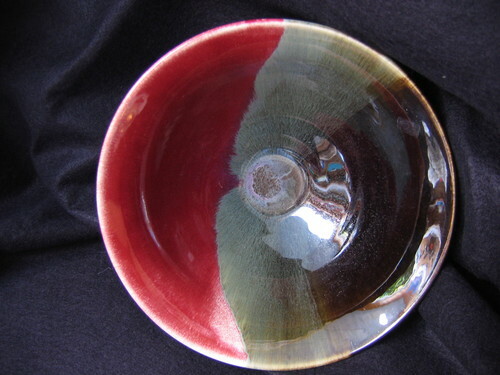 Bowl with chrome oxide glaze. In her garden studio over looking Haro Strait, Rachelâ��s joy is found in incising patterns from nature on her wheel-thrown pots. 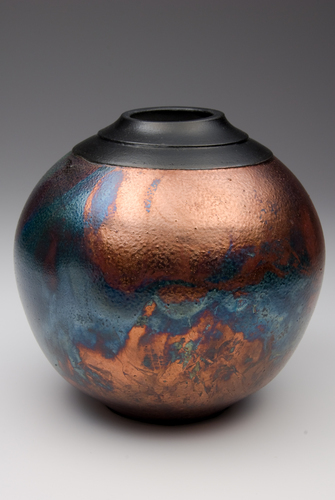 She creates functional pieces using white clay, fired to 2165 degrees F in her electric kiln. 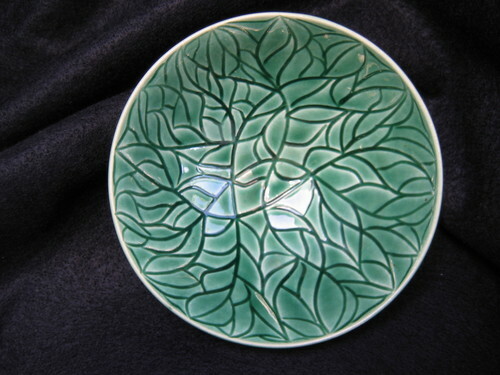 Rachel is known for both her carved leaf designs under a forest green glaze, and her burnished, slowly pit-fired vessels with carbonized fern fronds. is pure pleasure and an act of meditation. After 36 years as a nurse, Rachel began a second career as a potter in 1995 when inspired by her early teacher Meira Mathison. She has also been influenced through workshops with Darrel Hancock, Tom Coleman and Les Manning, among others. 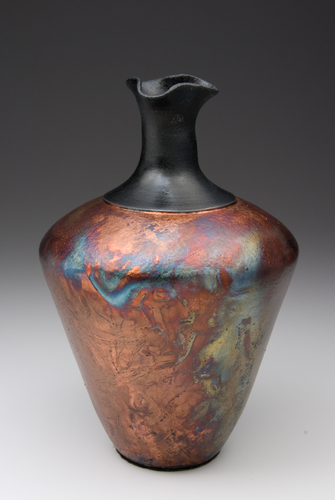 Rachel is currently an active member of the South Vancouver Island Potters Guild (past Librarian, Archivist & current Secretary) and Garden City Potters group, and for the past 14 years participated in bi-annual shows with the Clay by Design Potters group along with 4 other ceramic artists.